BMW R 1250 GS Adventure price in Delhi starts from Rs. 18.25 lakh (Ex-showroom). R 1250 GS Adventure is available in only 2 variant. 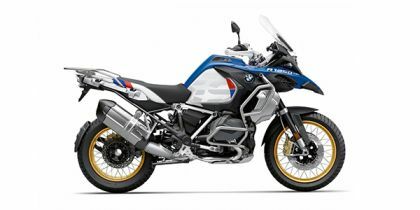 The top-end variant BMW R 1250 GS Adventure Pro is priced at Rs. 21.95 lakh. BMW R 1250 GS Adventure's top competitors are Yamaha YZF R1 (price starting at Rs. 19.67 lakh in Delhi) and BMW S 1000 RR (price starting at Rs. 18.05 lakh in Delhi). Share your experiences with R 1250 GS Adventure? Q. Is this bike also good for highway riding? Yes, it a 1200cc tourer motorcycle that is made for long and extreme terrain roads.